Ah, the original Naked palette. Compared to the other two palettes, I'm not the biggest fan of this one. It's cardboard with velvet covering. As you could see from the first photo, it collects dust very easily & is quite hard to take off. Aside from that, I love that it has a decent sized mirror and I like that "naked" is printed on the inside with gold foil. Each palette also comes with a double ended brush, but I seemed to have lost mine. Oops. 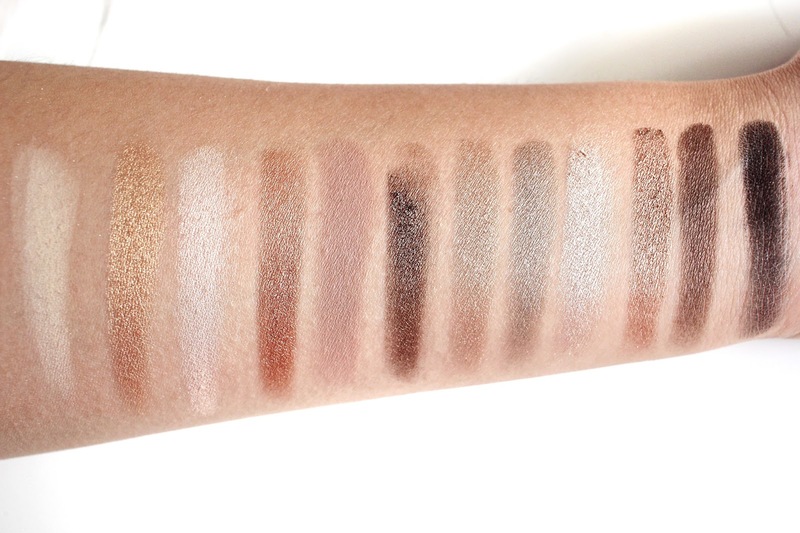 All the shades in this palette are pretty neutral and easy to wear. So if you're a beginner, these are safe colour choices to use. The palette has a nice mix of matte and shimmer shades. All of the eyeshadows are pigmented with the exception of Naked. I found that it doesn't swatch as well as all the other shades. I don't usually wear an eye primer, but still find that these eyeshadows go on so smoothly, blend easily, and last all day. My favourite eyeshadows in the palette are Sidecar and Toasted. 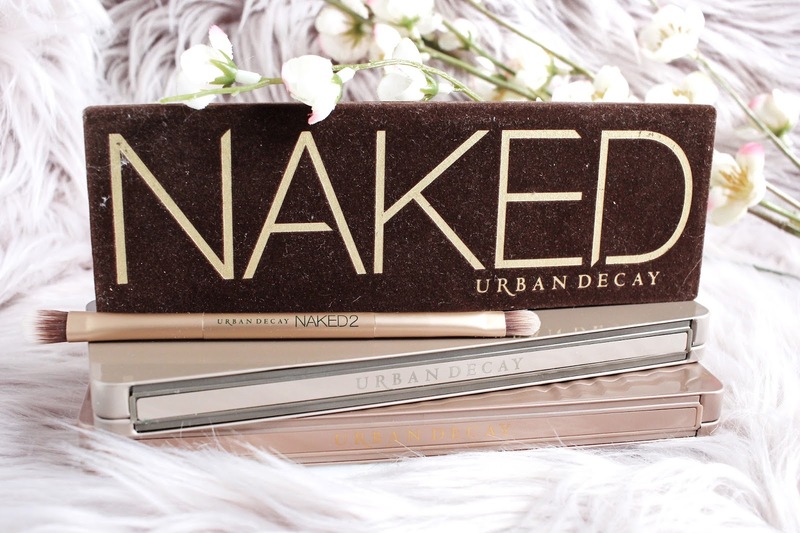 Urban Decay really upped their packaging with the Naked 2 Palette. It's a metal tin, but still lightweight. Unlike the original Naked palette, this is hard to get dirty. In my photos, it looks almost perfect and untouched, though it's probably because it was the last one to be added to my Naked palette collection. Anyways, the mirror is even bigger in this one, which I'm sure every makeup lover would appreciate. Again, this comes with a double ended brush (pictured in the very first photo). With this palette, I feel like Urban Decay made it a little similar to the first one. In fact, both palettes contain the shade Half Baked, but I'm definitely not complaining because it is a beautiful, pigmented gold shade. The shades in here are also very pigmented and easy to work with. 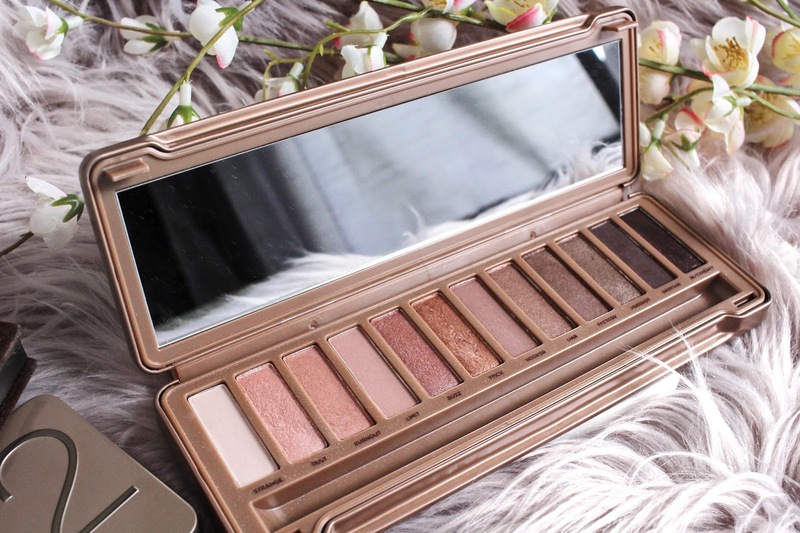 However, for the beginner makeup junkie, I feel like this palette contains a lot of shimmery shades and not enough matte shades that are ideal to create different looks. Another issue I have with this palette is the Blackout. It's supposed to be a very matte black, but as you could see from my swatches, it could be better. The Naked 3 Palette's packaging is pretty much identical to the Naked 2 palette with the only difference being the colour of it and the front having small grooves on it. I much prefer the packaging of this palette because it's a nice rose gold shade. It also has a really handy, big mirror and comes with a double ended brush (surprise surprise, I've lost it). 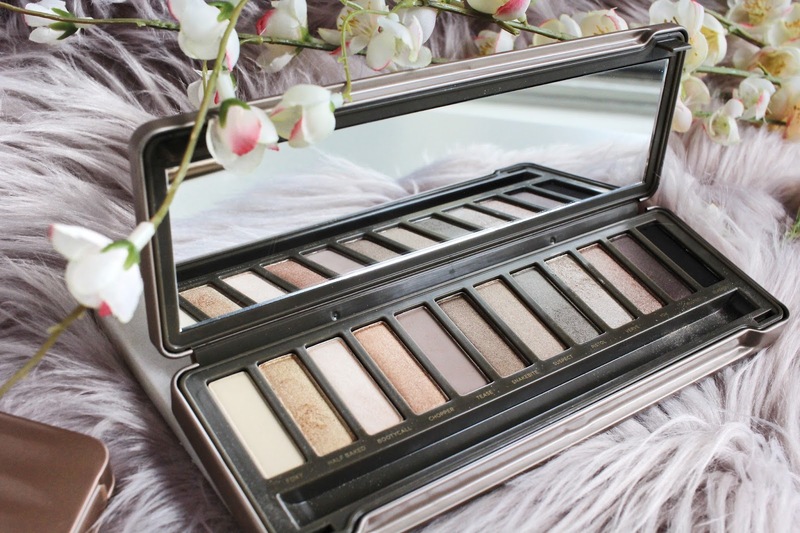 Sticking with the theme of the packaging, the Naked 3 palette's eyeshadows mostly are rose tones. And I am a huge fan! 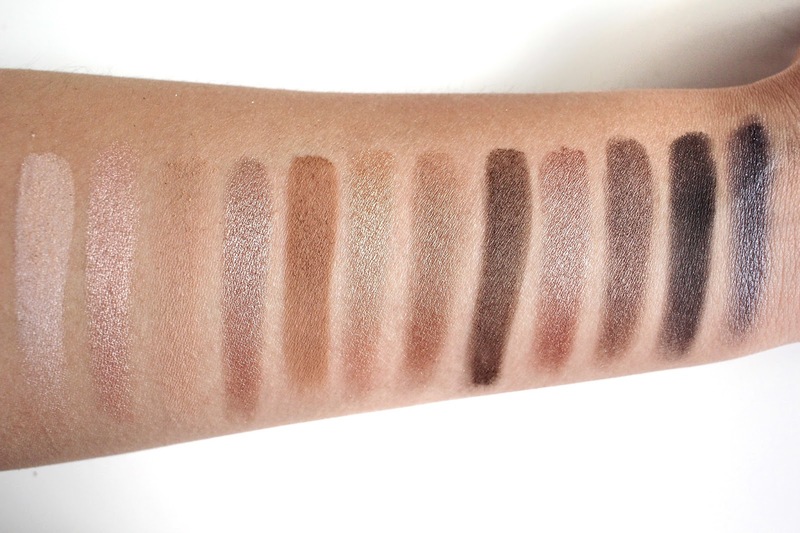 Just like the other two Naked palettes, all shades here are pigmented and easy to blend. If you're a rose/mauve type of girl like me, you'll find this very easy to work with. Especially since the the shadows aren't too dark, it's almost impossible to end up looking like a racoon. The one shade I'm not particularly of is Burnout as it doesn't swatch as pigmented as the other shades. I just want to give a huge shoutout to Blackheart, a black shade with pink specks..stunning! I can't deny the quality of these palettes. They are just phenomenal. I do however find that there is at least one eyeshadow in each palette that don't perform as well as the others. So which palette is the best? 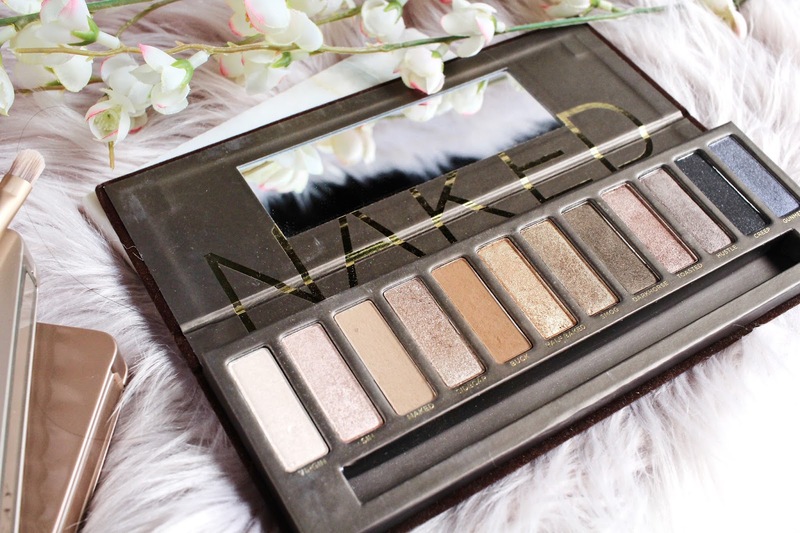 If I was just thinking for myself, I would go with the Naked 3 palette. However, for beginners or the palette that would be suitable for pretty much anyone, I'd 100% say go for the original Naked palette. 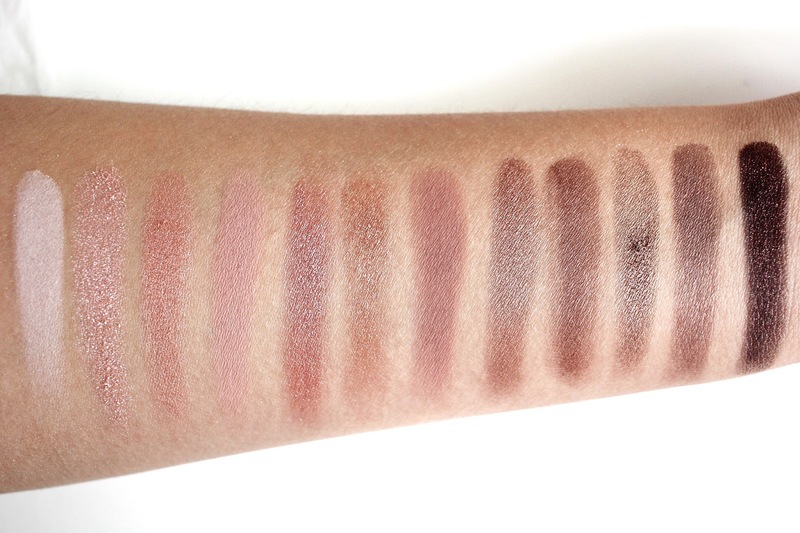 It has a variety of shades that are all wearable, even for the ones new to makeup. Yet, it also contains some darker shades that could be used for when you feel comfortable enough to experiment. Do you agree? Which one is your winner?